Gymnast Phan Thi Ha Thanh has been selected as 2012’s most outstanding athlete (scoring 1570 points), followed by swimmer Nguyen Thi Anh Vien (1020 points). This is the result of prestigious annual poll conducted by the Ministry of Culture, Sports and Tourism in collaboration with the Central Committee of the Vietnam Olympic Committee and organizations. This is the second consecutive year, Ha Thanh won the title of most iconic athletes of the year. Thanh has earned many noteworthy achievements this year. Her highlights include winning a gold medal in the fifth Asian artistic gymnastics championships and another gold medal at the 2012 Toyota International Gymnastics Competition. 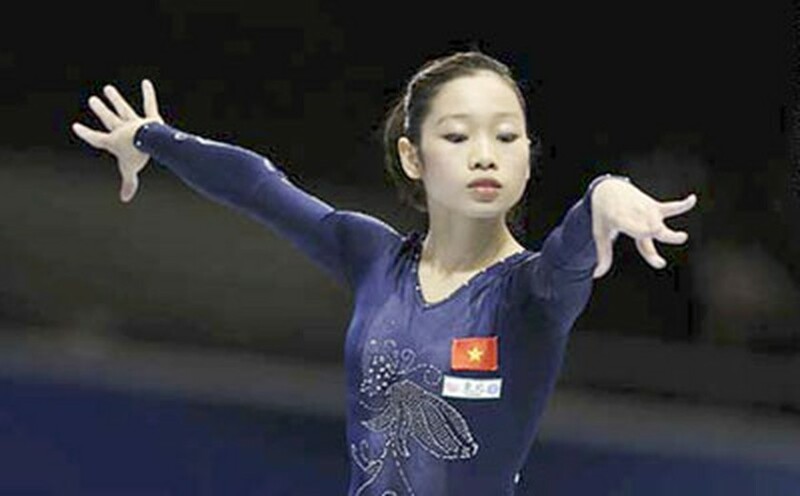 The Haiphong-born girl also claimed four gold medals in national gymnastics championships, an emphatic full stop on a very successful 2012. Shooter Hoang Xuan Vinh’s 914 points placed him third in 2012’s top ten athletes. Vinh finished fourth in the men’s 50m pistol event at the London 2012 Summer Olympics and won gold in the 5th Asian Air Gun Championship. Young chess player Nguyen Anh Khoi was ranked fourth, scoring 909 points. He returned from the World Youth Chess Championship bearing the championship title in the World Youth Chess Championship. The next athletes in the top ten was Nguyen Ha Thanh (gymnastics), Tran Le Quoc Toan (weightlifting), Nguyen Thi Thanh Phuc (track-and-field), Nguyen Tien Minh (badminton), Nguyen Tien Nhat (fencing), and Duong Thi Viet Anh (track-and-field). In the top ten coaches of 2012, Nguyen Thanh Thuy, who trains Phan Thi Ha Thanh, achieved the highest score (658 points), beating out shooting’s second-placed Nguyen Thi Nhung (482 points) and chess’ Nguyen Thanh Son (336 points). The Asian Volleyball Confederation (AVC) Women’s Beach Volleyball Tour 2019 kicked off in the Mekong Delta city of Can Tho on April 19.